I too have a Kindle, Christmas pressie from himself. Whilst I love it, especially for reading in bed or travelling, it is’nt a REAL book. There is no substitute for that…as you say. I had started the Harold Fry book, but put it down – now I want to pick it back up again. Just as soon as I finish the one I’m working on right now.. I’m looking forward to some green too. And this year (we just moved to a farm) I have brand new gardens to work with! Harold is certainly no obvious hero but I warmed to him and all the other characters in the book. It’s good to read something different. Good luck with the new gardens! Happy Easter…you still have quite a bit of snow..we are getting one last blast this week…but the garden has awakened and is blooming a bit. I am a book lover and have oodles of them…I still have not moved to an e-reader…still prefer the real thing. You are really not helping my decision to stop adding to Amazon’s coffers; I’ve just ordered the Harold Fry book . . . . and while I was there I thought I’d order a book by an author I read last week (Elizabeth Buchan) but amazon recommended 3 of her books to buy as a package. So now there are FOUR books on their way to little old me!!! And I blame you! By the way, I do recommend the one I read last week – Revenge of a Middle Aged Woman by Elizabeth Buchan. Go on! Order it!!! G’wan, g’wan, g’wan!!! Blame accepted 🙂 I’ll put your recommendation into my wish list… as soon as I take a bag full of books to the charity shop I’ll restock! A book that can bring emotion like that is a must read for me! I haven’t gone to electronic reading of books yet. I just like holding the book, feeling the pages and as you put it so well, the soul of the book! Happy Easter! What a beautiful post, PJ. You describe your love affair well. I too love books and remember devouring them as a girl. We always had a library card, and for awhile a book mobile came to our neighborhood. What a joy that was. My parents had a book shelf near the front entrance and I remember fantasizing that I would one day read all of them. I still have one or two of my father’s gardening books as well as books Mom bought me in grammar school. I’ve avoided a Kindle, too, for reasons you describe. Books feel and smell good. This morning, before heading outdoors for a day’s work, I too poured over a few gardening books. They’ve been around for close to twenty years, and feel like old friends. I’m glad the snow is melting. Cute heart, too. Books can be so precious and I can re-read my favourites a hundred times and get something new from them each time. Books passed down from parents or gifts from family or friends are the most precious. I agree that a Kindle just lacks the charm of books, but on the other hand is extremely convenient! I bought a second.hand French novel while in France once, and it had a love letter from the 1930s between the pages…. you don’t find that on a kindle now, do you?! Belated Easter Greetings PJ and thanks for this lovely post. You have actually described me to a T, but I could have never explained it so eloquently. I adore old books and have collected a few. I was charmed by the excerpt you’ve included by Sarah Addison Allen, I totally have to look for her. 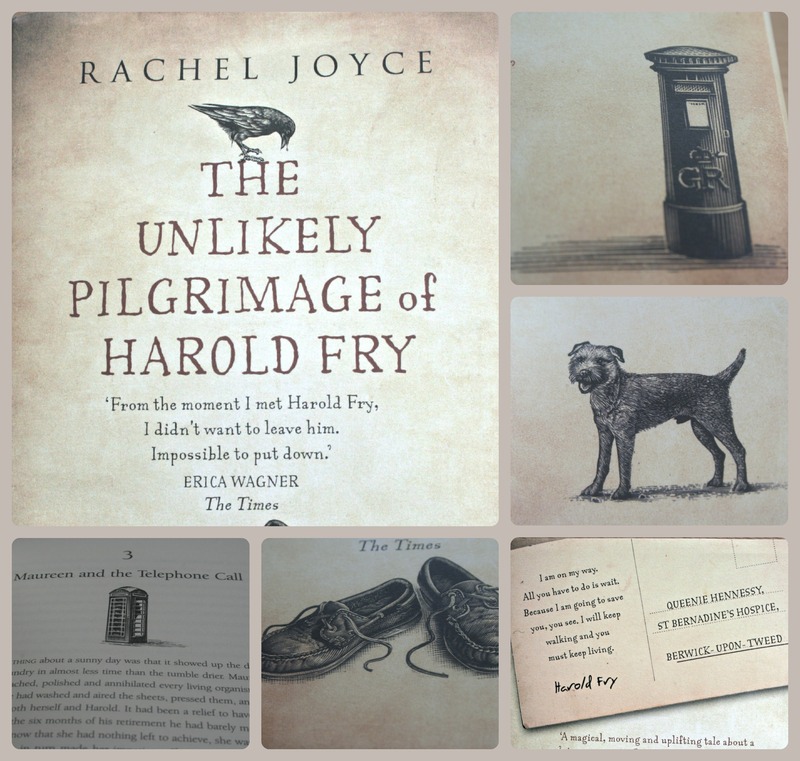 Is Harold Fry a dog? I just can’t manage sad animal stories…..PJ, tell….is that why you were sobbing? Because I am a bawl baby extraodinaire, No lie, I walked out of ‘Life of Pia’, just left Mr B alone in the dark and went shopping with swollen shut eyes. I love your first photo with all the magical sparkly hearts…..that is poster worthy my dear. x Happy to hear your on your way to spring and time in the garden with Bella and Milo, hooray! Ha ha! Harold Fry is a retired chap who receives a letter from an old friend saying that she is dying. He writes a response and takes it to the post box but for some reason just keeps on walking. He has no coat, phone or map but is determined to walk to see his friend who is in a Hospice over 200 miles away. The book is about his journey but, more importantly, the relationships of those around him. It’s beautiful written and poignantly understated. The dog suddenly joins Harold when he feels low and lonely… the dog is fine so fear not sweet Boomdee! I’m so glad of that, thanks PJ. Oh well then, maybe I’ll give it a whirl, it does sound like a good read. I road a 150 km on a bike one weekend for charity, that was plenty far enough HA. Most definitely – even seed catalogues make my heart sing! The love of books is essential if you are to enjoy life to the full. I loved that Rachel Joyce book too, but am not sure why. It has a special unidentifiable something that makes it special. I think it’s a really honest book – one to read again for sure. I can still remember the day my father took me to the library. I still use my local library (don’t use it and you’ll loose it) and even though the house is over flowing with books, I still can’t resist the temptation to buy just one more….. I try to use my library too as it’s so sad that so many of these are closing. The book addiction is a hard one to crack (not that I want too!). Totally agree with you. I’ve not succumbed to the Kindle yet, I can’t imagine not reading a proper book, but I guess it would be good for when travelling. I’ve read Garden Spells by Sarah Addison Allen, and I loved it, but might have to reread it. Garden Spells is one of my Summer reads and The Sugar Queen is one for early Winter 🙂 I hope the snow is melting up there now? I feel the same as you do about books. They are like old friends that keep me company and take me on incredible journeys. I read Garden Spells several years ago and enjoyed it very much. 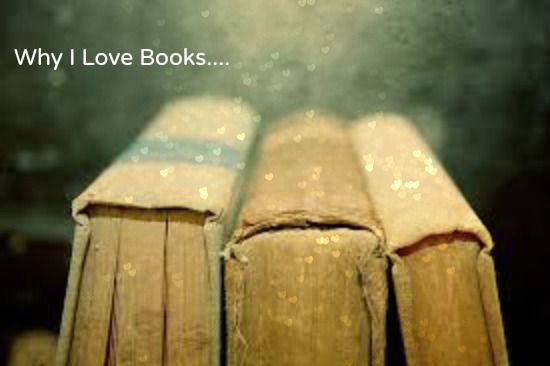 I love books too and you have described it amazingly well, much better than I could. The excitement and anticipation of having a new one to start, and the sadness when a really good one is over. Fantastic. I am trying very hard to encourage my dyslexic son to have the same love of books but its not easy. Always said that I’d be penniless but with an large collection of books…. I’m almost at that point now! There is something wonderful and magical about a book. I especially love second hand ones, gardening related or otherwise. I’ve tried reading books on the iPad- classics, new ones, text books for uni- but I just can’t stay focused. Maybe it’s the lack on pages to turn? I think it’s quite hard to concentrate on text from a screen. Maybe it the fact that books are made from trees and the organic nature just speaks to us sensitive gardening souls! I went out and got the Harold Fry book after your post but my husband has laid claim to it for the time being. Good job I also picked up an Anthony Eglin book from his english garden mystery series. Never read him before. So far, so good. I’m always looking for books that combine gardening and murder. Not sure what that says about me. Often the comination fails, either the story is weak or the gardening aspect is plain daft. Have you a book in this category you can recommend? The TV series “Rosemary & Thyme” springs to mind – are there books available in this genre? Gardening & murders!!! They have some amazing gardens on Rosemary & Thyme but I’ve no idea how they have time to work… with all those murders they would spend a substantial amount of time in court as witnesses!! I’d love to work in those gardens and the series is good fun 🙂 I’ve no idea if there are books but gardening “who dunnits” are an emerging genre! 😦 I just keep going back to the old favorites. I have started several recently and just put them down in favor of the familiarity of one of my old friends! I think there is much value in getting a kindle but I do love holding an actual book with pages. There’s just something about it, isn’t there? I’m inspired to read that book now.